This weekend, commemorations began in Ypres to mark the centenary of Passchendaele, the third Battle of Ypres. 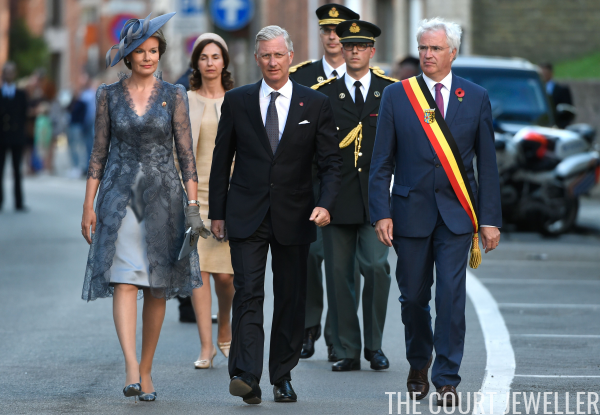 Royals from both Belgium and Britain were on hand on Sunday to take part in the Last Post ceremony at the Commonwealth War Graves Commission. 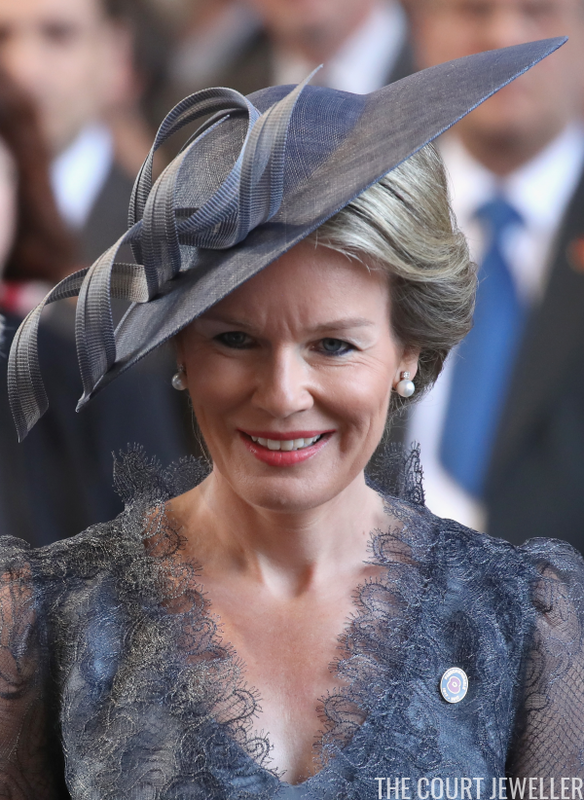 Queen Mathilde of the Belgians wore gray lace with classic pearl and diamond earrings to mark the anniversary of the battle. 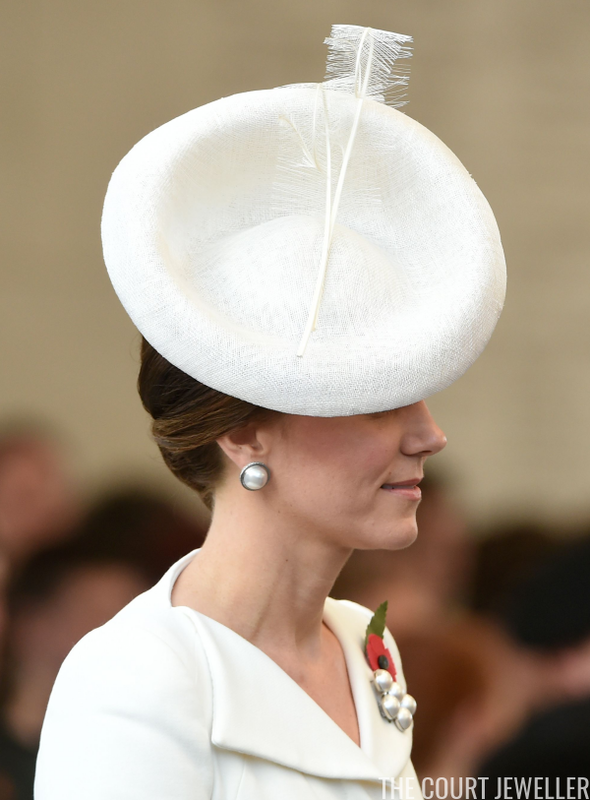 She also wore a commemorative pin decorated with a poppy, an important symbol of remembrance for those who died in World War I. A look at Mathilde's entire ensemble. 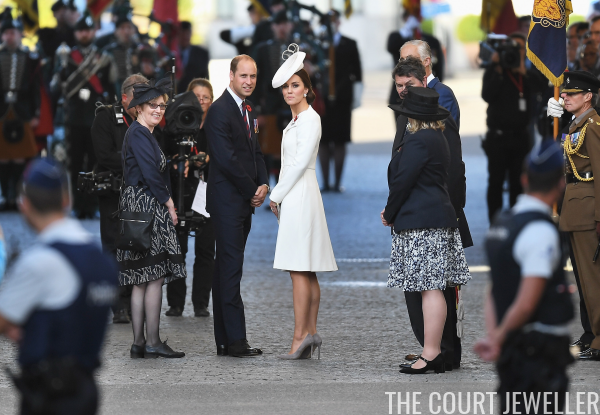 The Duke and Duchess of Cambridge are in Ypres today and tomorrow for the commemorations. Kate wore her Eugenia earrings from Balenciaga and a similar brooch, which may also be made by the same company. 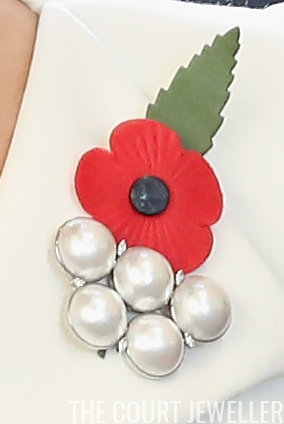 She used the brooch to secure her poppy, which gave us a chance to get a good look at the piece's construction. Note the crystals placed between and around the large faux pearl buttons. The brooch has a matching necklace, which Kate recently wore in Poland, that features similar crystals set in its silver chain. Here's one more angle on Kate's jewels. 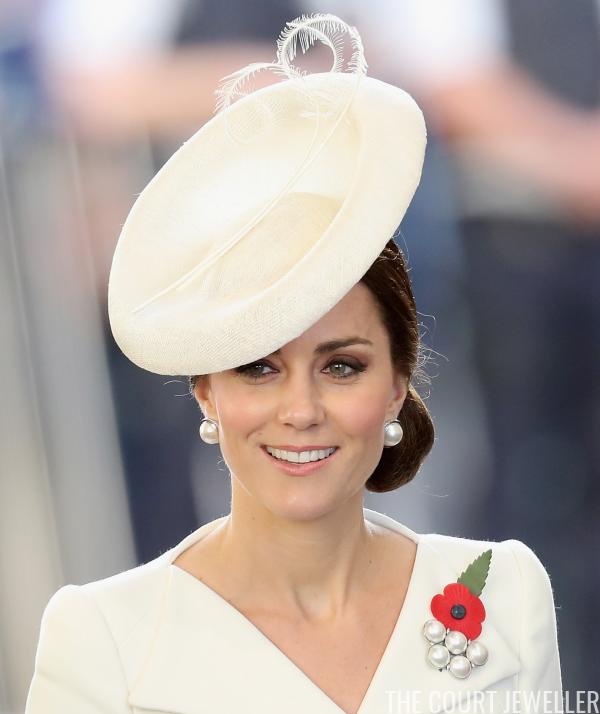 Kate's been favoring these large, costume pearl button earrings lately. By doing so, she's following in the footsteps of her late mother-in-law, Diana, Princess of Wales, who had a huge faux pearl button earring collection.